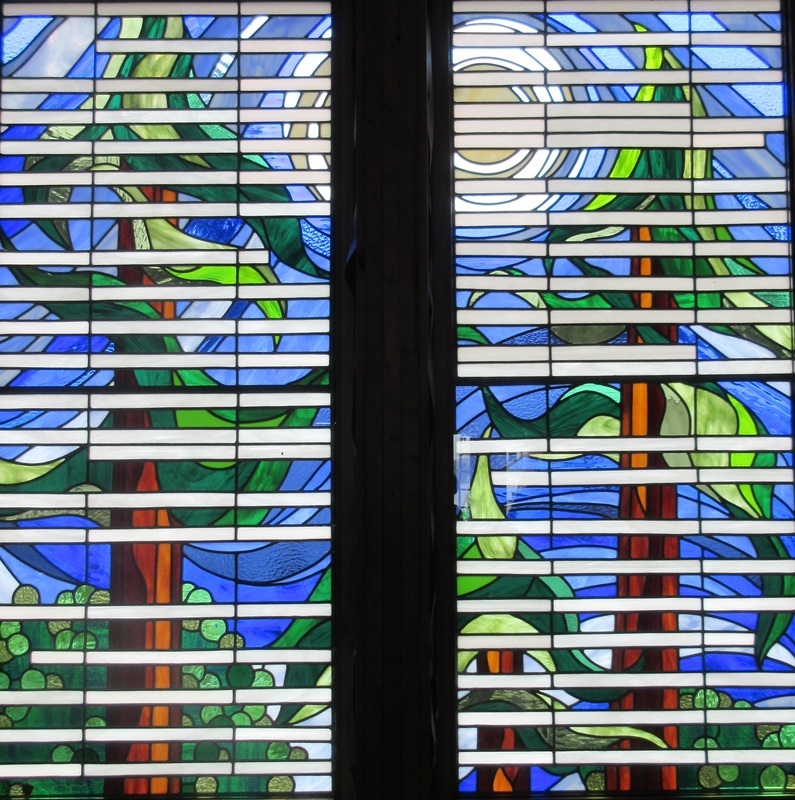 Ted Goodden became interested in stained glass after visiting the studio of Theo Lubbers, a Dutch stained glass artist, in Montreal. At the time, Ted was employed by McGill University and preparing to take doctoral studies in clinical psychology. When an apprenticeship position was offered at Theo Lubbers Studio in l973, he made a life-changing career decision. Lubbers’ studio carried out a wide variety of ecclesiastical and residential commissions, as well as restoration work. Ted followed this first three-year apprenticeship with a journeyman apprenticeship with the English stained glass artist, Patrick Reyntiens. He traveled through France by bicycle, visiting medieval cathedrals along the way. In 1979, Ted Goodden opened his own stained glass studio in London, Ontario, the city in which he was born. The city has a rich legacy of Victorian stained glass, a significant portion of which Ted restored over the years of his practice there. In 2012, Ted moved to Hornby Island with his wife, the poet, Cornelia Hoogland. Since moving to the west coast, Ted has become a vendor at the (seasonal) Hornby Island Farmer’s Market, while continuing his stained glass practice, specializing in residential commissioned work.